Forget Halloween - October is all about the beauty goodies! 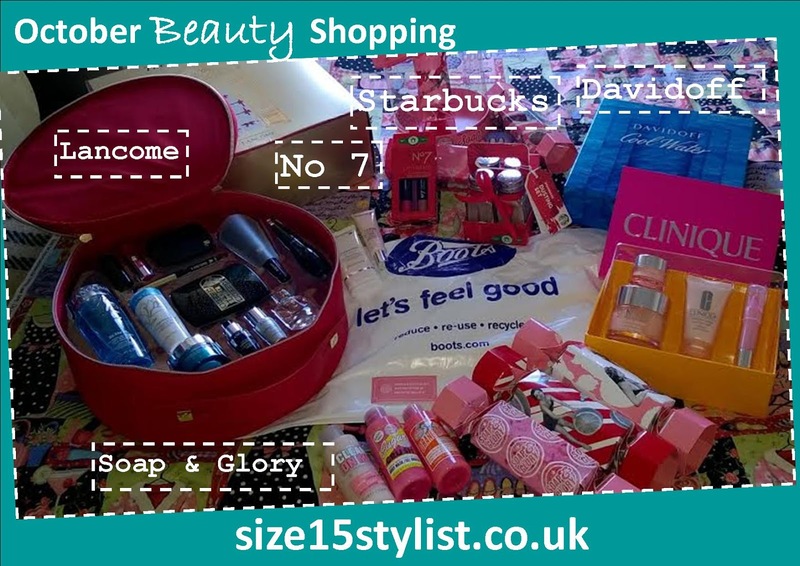 Whether you’re treating yourself to a pampering Advent Calendar (pop along to the fab LBQ blog for a beautiful countdown summary) or just treating yourself, as I did during the Boots Advantage Card points event last Thursday, the middle of Autumn isn't all about pumpkins and bats. 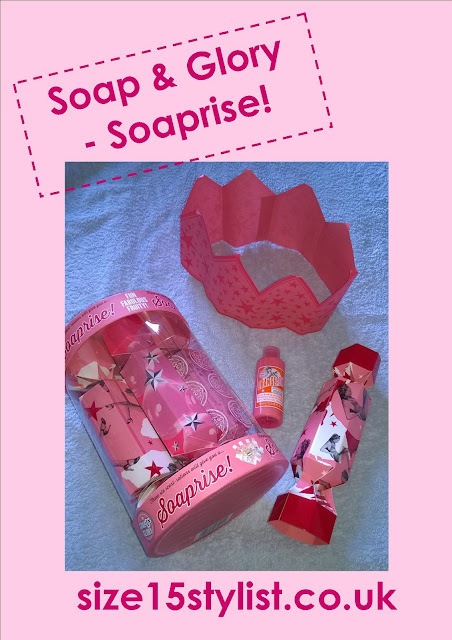 I love the right kind of novelty, and the Boots team have nailed it this year with some cute crackers full of beauty treats. I opted for the Soap & Glory Soaprise box of 6 crackers (£16.00) to decorate my tree with this year. I also spotted some gorgeous crackers from No 7, Sanctuary, Champneys, Nails Inc.,St Tropez and Crabtree & Evelyn. 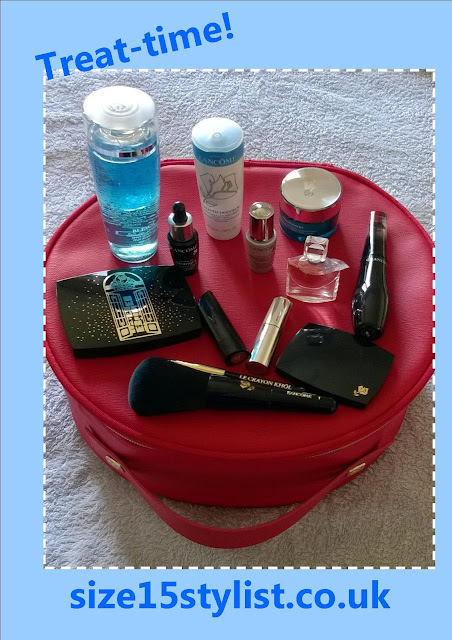 I've never used Lancome products before - where do you start when trying out a new brand? Beauty subscriptions are great for sampling new products, but each Christmas a vanity case of mini products appears to offer the same mini insights, wrapped up in a beautiful case. I'm aware that my skin is changing with age, and I'm inspired by the work of the Ambassadresses of Julia, Kate, Penelope, Lupita and Daria - I know I'm never going to look *that* good, no matter how much I spend, but we share the same optimism within our lives, and for that I admire the Lancome leading ladies. And, oh, my goodness - the packaging is gorgeous! The compacts are so cute, and the branding of the black flower, is just adorable - I feel beautiful just holding the products. I had a makeover during the Boots event, as I'm always on the look out for a BB cream, and was introduced to the Zen from the Lancome associate - normally priced at £30, however there was a 10% discount during the evening. I also picked up the Hydra Glow illuminating primer, at £29, so was well over the £35 purchase threshold required to pay the £52 (instead of £300; who would?) for the O Beauty gift set with 12 products included. And of course I received the £20 worth of points. Similar holiday gift sets are also available from Estee Lauder and Elizabeth Arden. Also with age I hear a lot of people tell me that I'm difficult to buy for, so I shop for myself with other people's money at this time of year. I suggested that my Mum might like to treat me to a pot of Clinique's Moisture Surge - have you ever tried this? It's like actual velvet on my face; the assistant referred to it as a cult product, and she isn't wrong. The usual price is £34 for a 50 ml pot, however, for £40 I picked up a fab gift set, featuring All About Eyes, an overnight moisture mask and a chubby lip colour - not bad for an additional £6! I also picked up a Davidoff gift set for my brother-in-law (£32), taking advantage of additional items included in a lovely presentation box, for the same price I would pay in August. And keeping with the gorgeous theme, I treated myself to a Starbucks (£10) dusting set (Cinnamon, Chocolate, Nutmet and Vanilla) to herald the arrival of the red cups. Come on, Winter; the most wonderful time of the year! Don't worry if you haven't made it to a Boots points event yet, there's another one on the way at the end of November (check your local store for details).